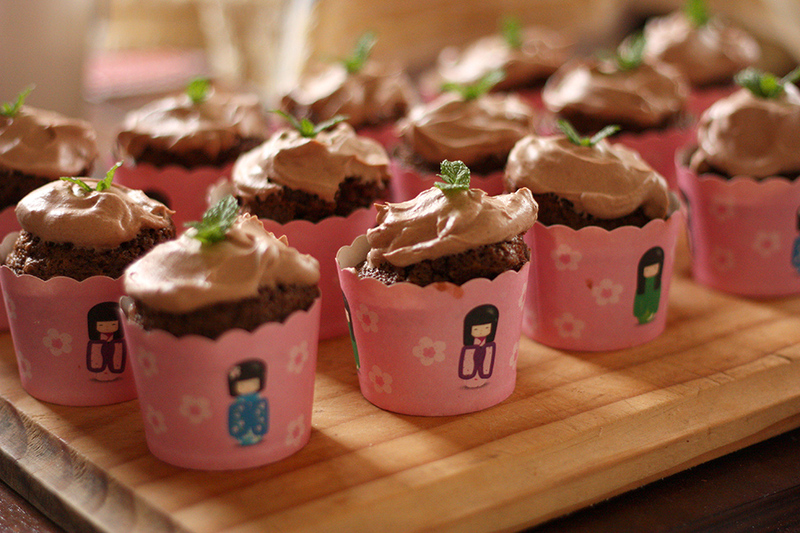 Having bought some of the cutest cup cake wrappers recently I couldn’t resist giving this recipe I came across a go. I wasn’t in the mood for mint and I couldn’t locate the White Wings mousse mixture required, despite visiting three supermarkets, so I made up a mixture of icing sugar, cocoa and whipped cream and they went down a treat in the office. Who doesn’t love a Monday morning cup cake pick-me-up?